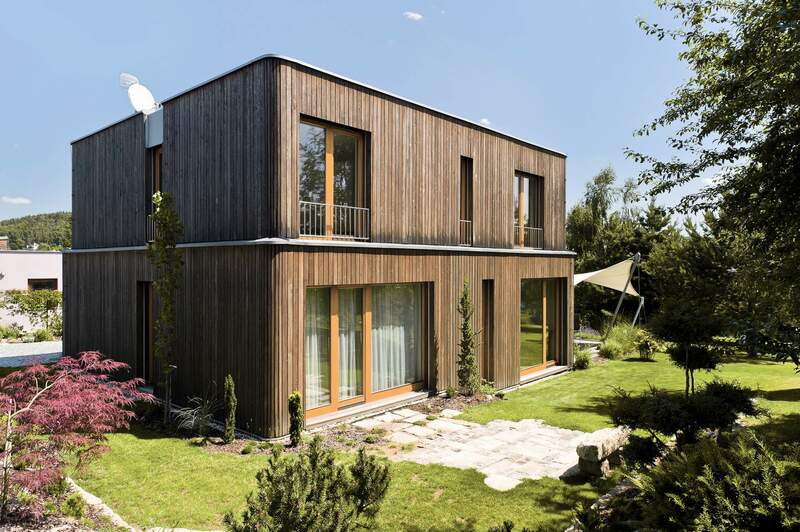 A family house in Mnichovice village, on a rectangular plot sloping down to the southeast. The house rests in the upper part of the plot, with a partially settled valley surrounded by green hills below. The groundfloor is vertically divided into three levels following the terrain slope. 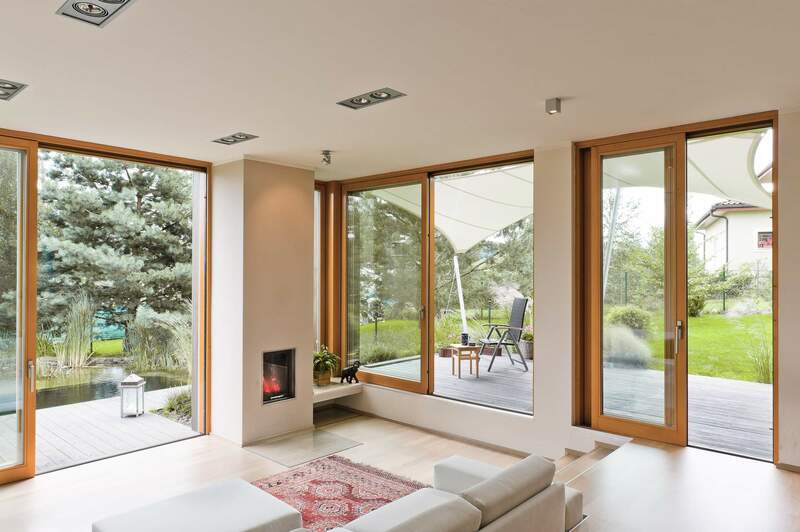 The lowest level is via large glazed areas and a small terrace connected with a natural swimming pool. In the southeast open corner of the house there is a large dining terrace surrounded by decorative grasses and a herb bed. 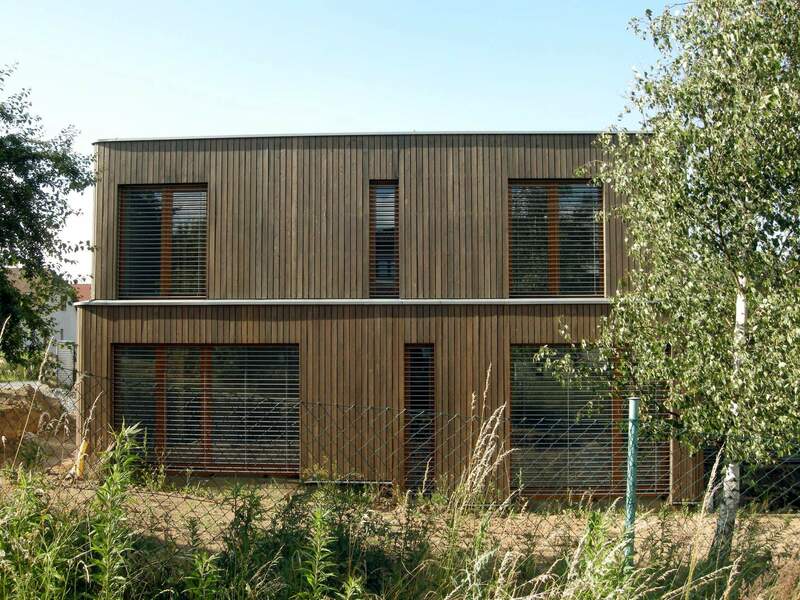 The house is clad in larch planks, all windows are protected by aluminium blinds.